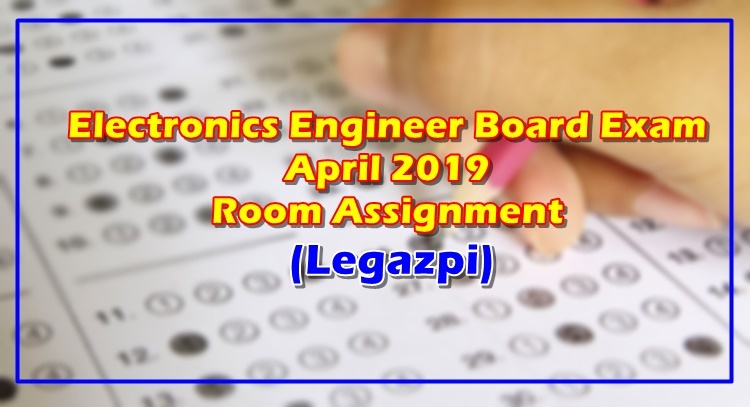 ELECTRONICS ENGINEER BOARD EXAM APRIL 2019 – The Professional Regulation Commission (PRC) released the official room assignment for the Legazpi takers of the licensure examination for electronic engineers. One of the licensure exams that gathers thousands of takers across the Philippines is the Electronics Engineer Licensure Exam. The said exam is administered by the PRC to the takers at various testing centers in Manila, Baguio, Cagayan de Oro, Cebu, Davao, Iloilo, Legazpi, Lucena, Tacloban, Tuguegarao, Zamboanga, and other regional testing centers. Several days before the Board Exam, the PRC usually releases the official room assignments of the takers. The next Electronics Engineer Board Exam will be held this year on April 3 and 4. Recently, the commission posted the official room assignments for the takers of the said licensure exam. Furthermore, the Board Exam takers are reminded to observe the proper dress code in taking the licensure exam. For the male, wear a white plain polo shirt with collar and match it with slacks or decent pants. The shirt should not have a logo, a seal, or marks. For the female, wear a plain white blouse or polo shirt with a collar. It must have no marks, seal, or logo. Pair it with slacks or decent skirt.